Who said video games were for just for kids? 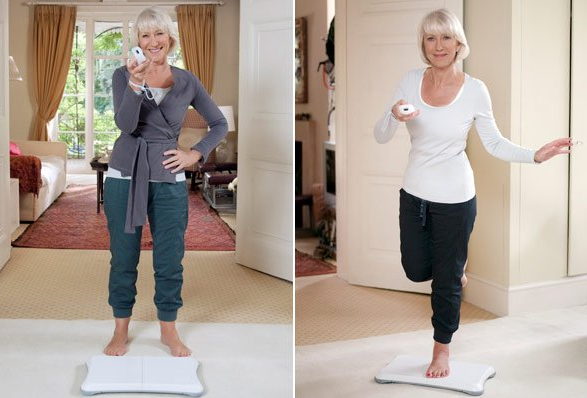 After admitting that there were parts of her below the waist that she didn't like, Helen Mirren joined the Nintendo Wii movement. The gaming company tapped the 65-year-old Oscar winner to promote the Wii Fit Plus in the company's UK holiday campaign. Will she be baring her sixty-something six-pack soon?